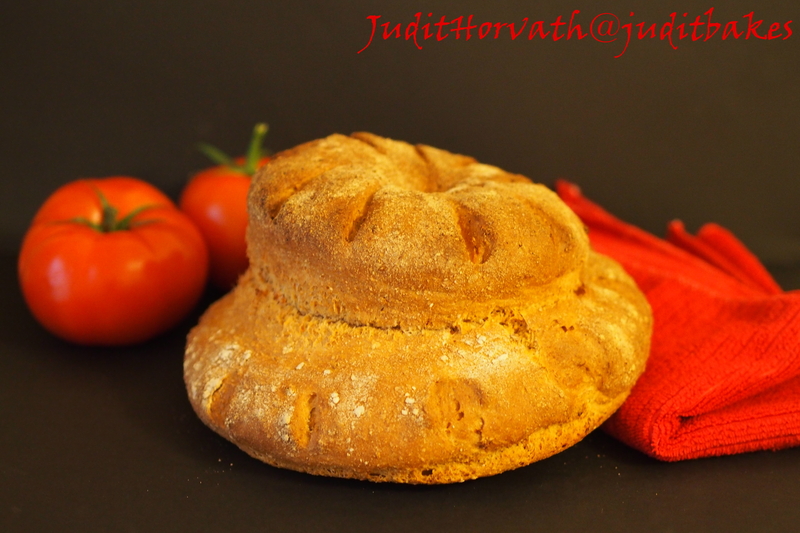 The Ten Things One Might Not Know About Tomatoes… For Example When Fresh, They Make Excellent Bread | When Judit bakes...bread and better.. In the 1600’s it was widely accepted in Britain that tomatoes were poisonous. It wasn’t until the mid 1700’s that tomatoes became a staple part of the British diet. During the British believing that tomatoes were inedible, the French called the tomato “The Apple of Love,” the Germans “The Apple of Paradise”.Colonial American gardeners grew tomatoes for their looks, but were also afraid to eat them. Tomato is a cousin of the eggplant, red pepper, ground cherry, potato, and the highly toxic belladonna (a herbaceous perennial, also known as the nightshade or solanaccae). Thomas Jefferson was known to be a connoisseur of the tomato and tried to convince people it was a great fruit. The best way to ripen tomatoes is to put them next to apples or bananas. Apples and bananas give off ethylene gases which speeds up the ripening process. There are over 10,000 varieties of tomatoes. The tomato is the world’s most popular fruit. A fruit is the edible part of the plant that contains the seeds, but despite the botanical truth, the court ruled that under the Tariff Act of 1883 in USA, common usage classifies it as a vegetable. The largest ever tomato on record was grown in Oklahoma USA in 1986 and made enough sandwiches for 21 people. La Tomatina (Valencia, Spain), held annually on the last Wednesday in August, attracts tens of thousands of visitors. The highlight is the tomato fight, in which approximately 30,000 participants throw an estimated 150,000 overripe tomatoes at each other. Preheat the oven to 200 degrees C. Grease a loaf pan. In a large mixing bowl, combine the flour, baking powder, baking soda, salt, and Parmesan cheese. In a smaller bowl, combine the egg yolk, oil, honey, parsley, basil and tomatoes. 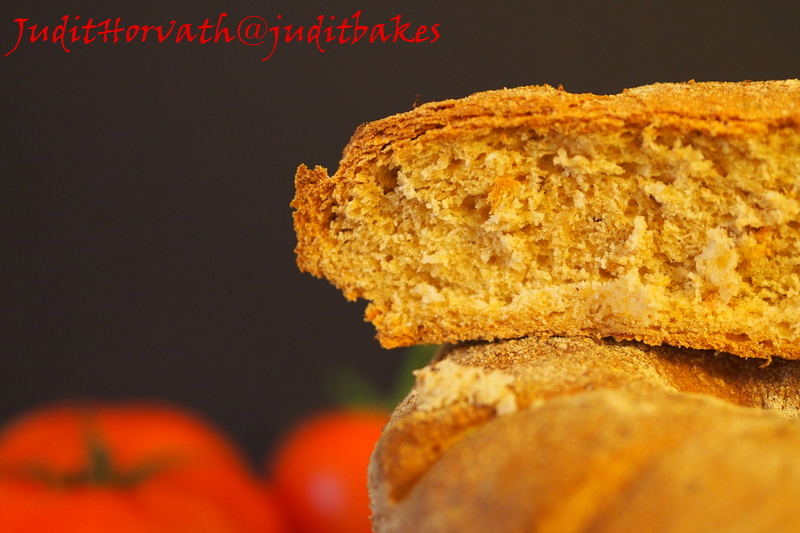 Pour the tomato mixture into the flour mixture and stir until blended. Pour the batter into the prepared loaf pan. 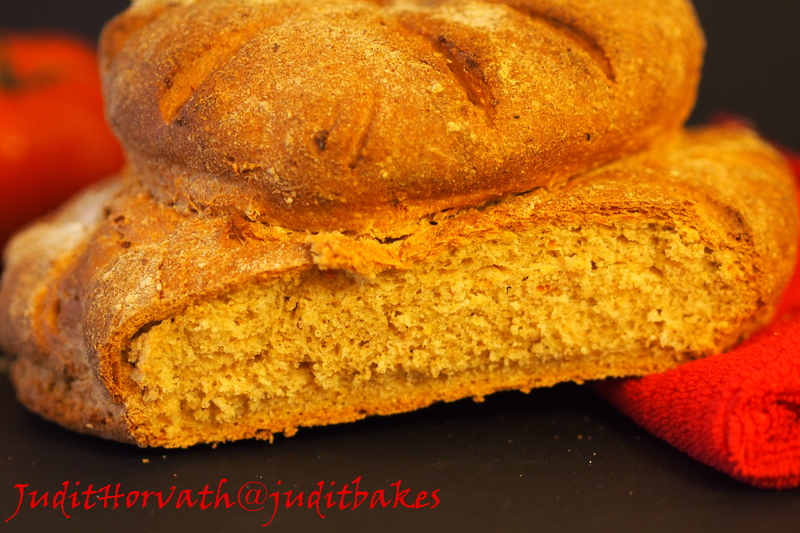 Sprinkle poppy seeds over the top (if using). 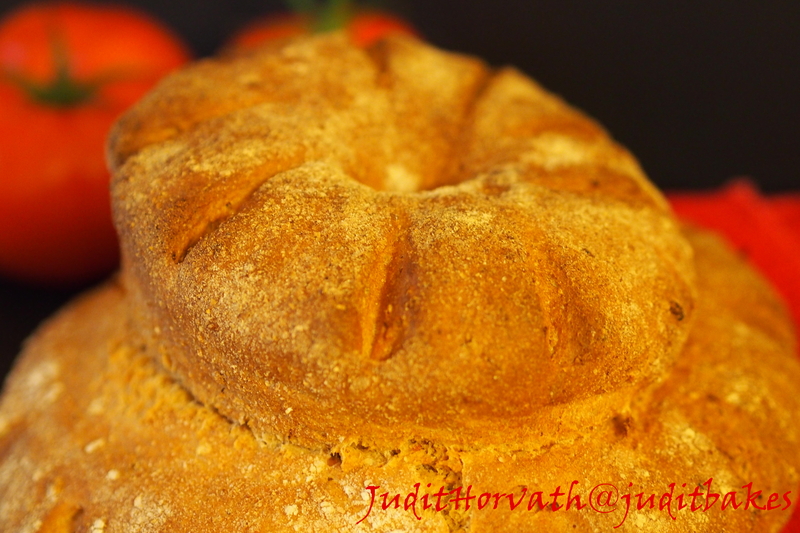 Bake at 350 degrees for 40-50 minutes, until a knife inserted into the center of the bread comes out clean. 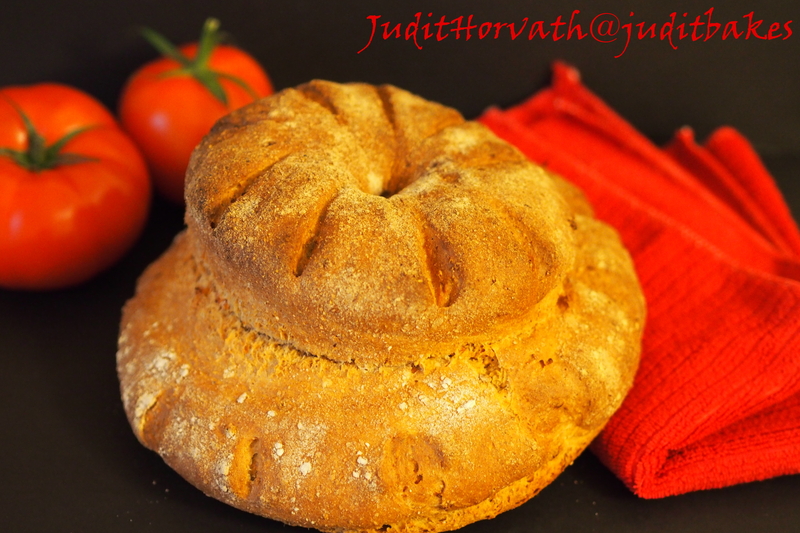 This entry was posted in Baked treats, Baking powder, Bread, Flavoured breads, Savoury bakes, Snacks, Soda bread, Special flours and flavours, Treats for Life and tagged overripe tomatoes, tomato fight. Bookmark the permalink. 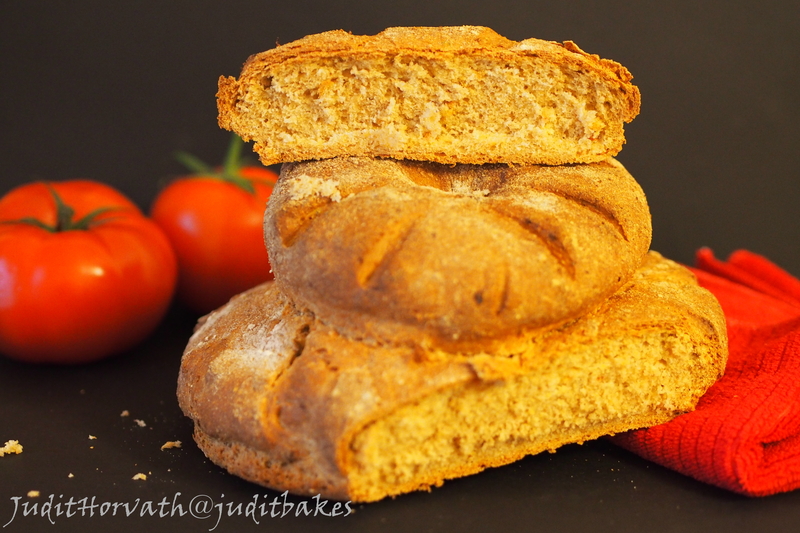 Lovely recipe and informative post!